Puppies are really cute and small when you first get them but just like it happens with every other being, they eventually grow bigger in size and don’t fit their small cradle anymore. The funny thing about this is that we don’t actually notice how fast they grow because we see them every day. However, this doesn’t mean that they aren’t cute and playful anymore. 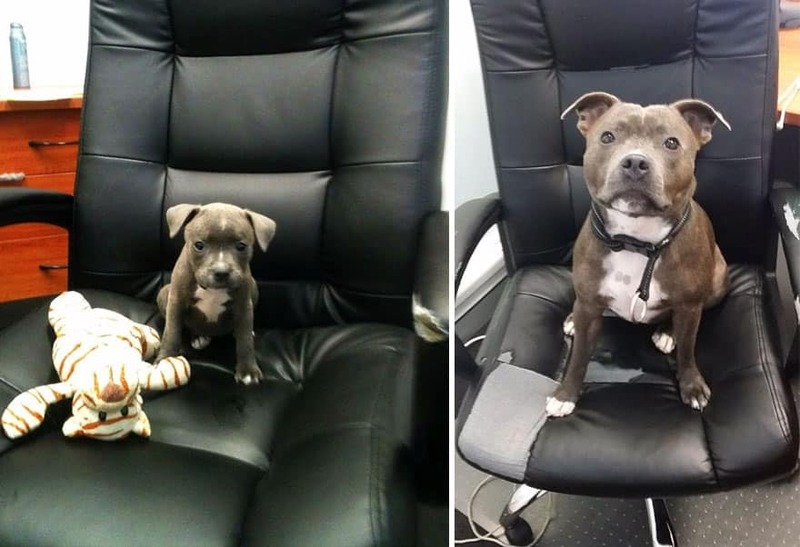 Puppies might grow in size and look different but they will never forget who fed and raise them and they will forever be grateful for that. 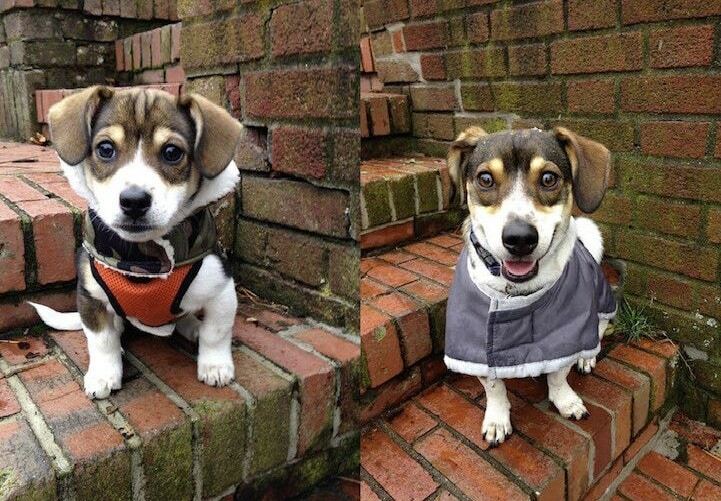 If you’re getting ready to have a kid you might also consider adopting a puppy. Your kid will have a blast and the puppy will brighten up your house and make going out for walks so much more fun than it already is. 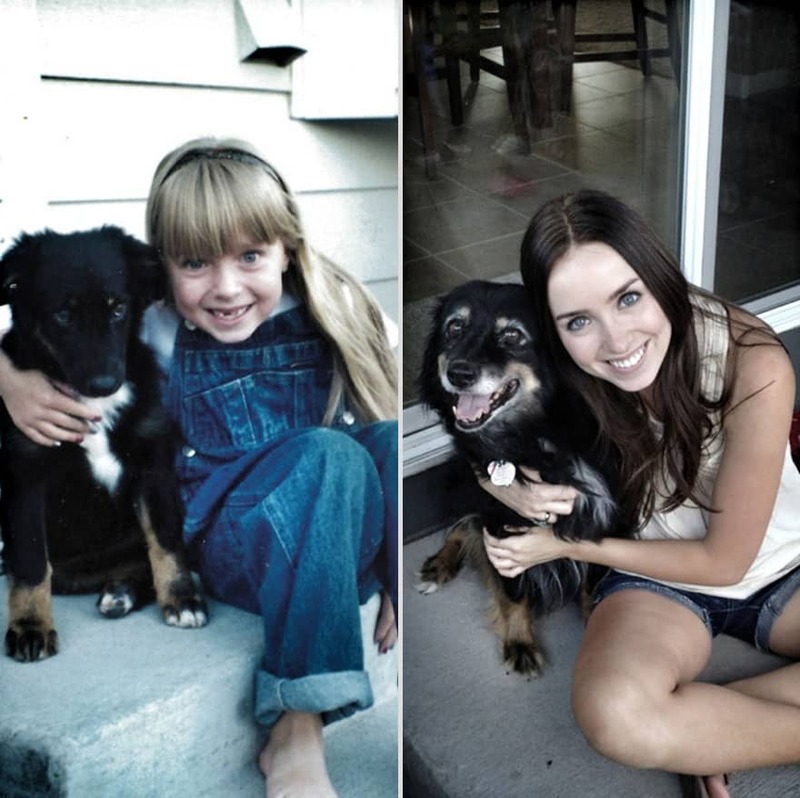 Some of my favorite memories of growing up are having fun and playing catch with my dog but the best thing about owning a dog is that you grow old together and the bond between you two is unbreakable. 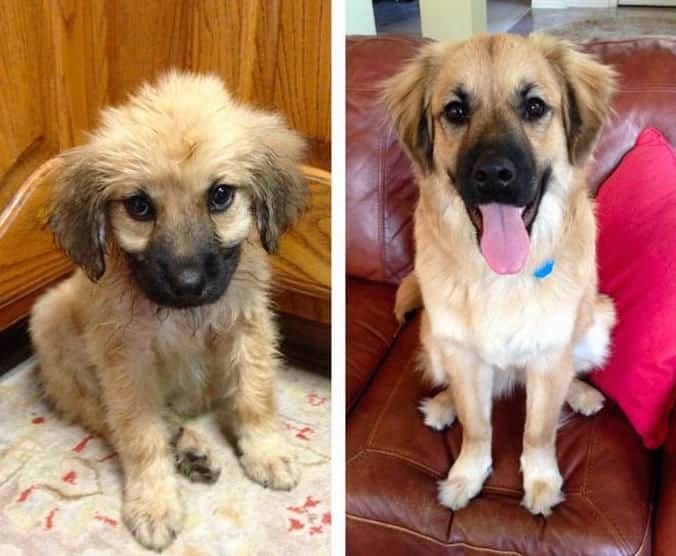 If you’re not yet convinced if you should adopt a puppy or not then just take a look at these following before and after photos of cute puppies and see that it’s totally worth it. 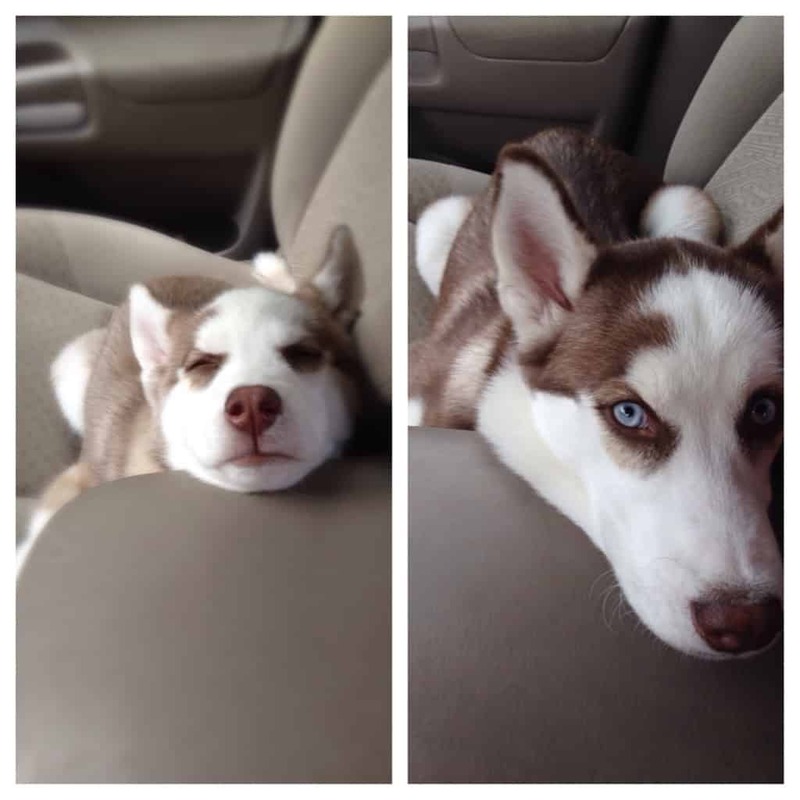 Dog years are shorter than ours and this is what the difference that five months can make. 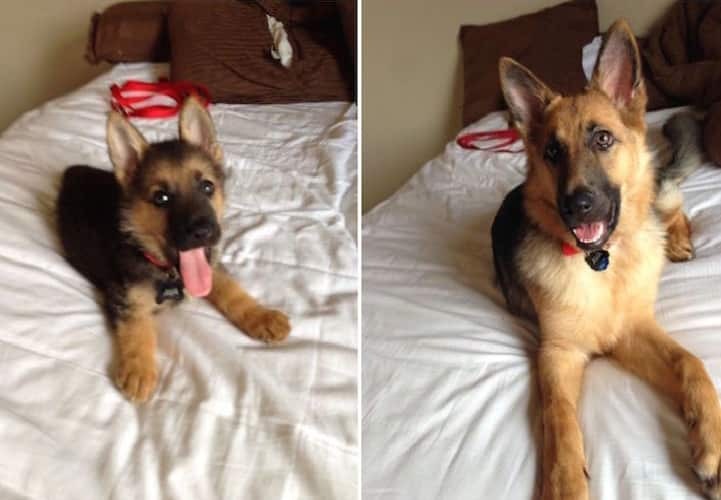 You need to take as many pictures as you can when your dog is just a puppy because you won’t even realize how fast it can grow! 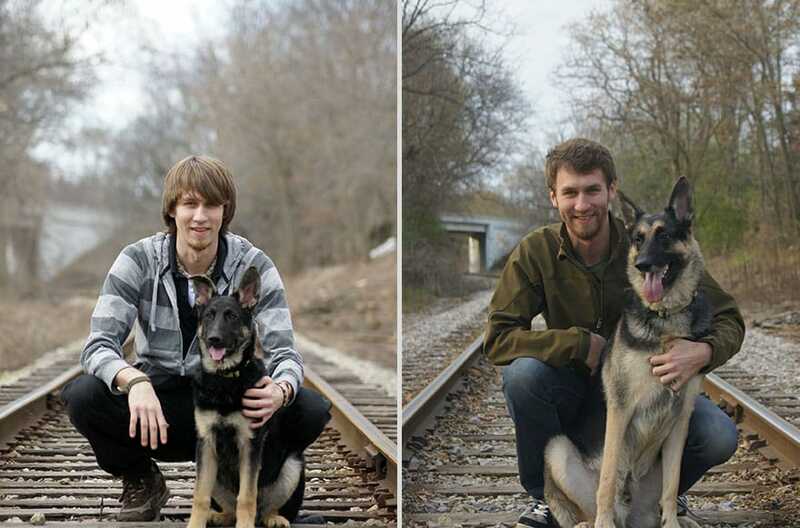 The difference between these pictures is just one year! 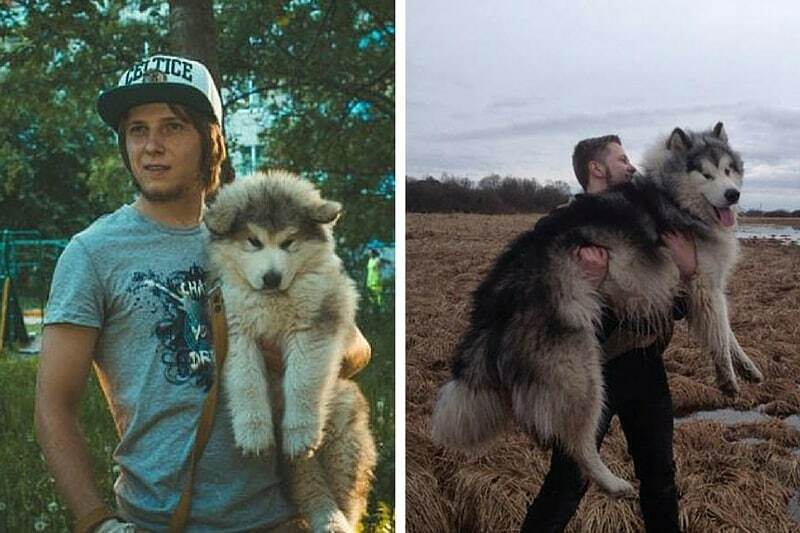 As you can clearly see, seven months is a lot of time to a Husky. He still has a cute face though. 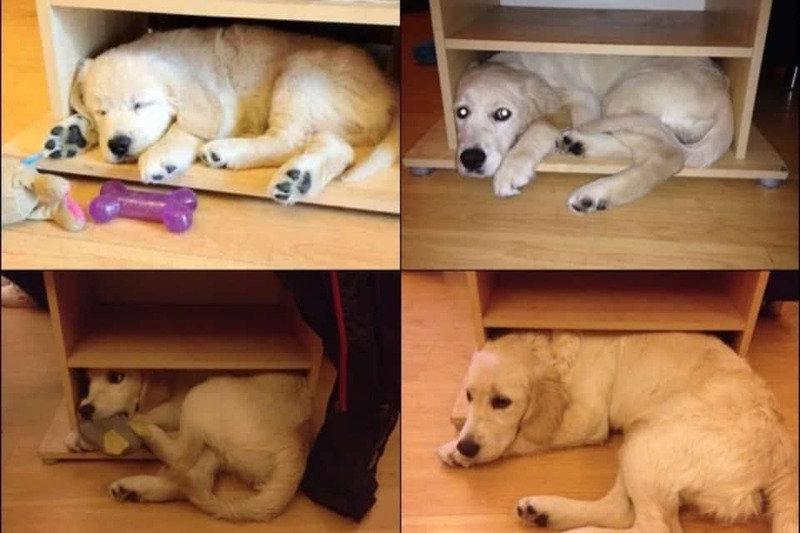 Isn’t it cute how this dog still tries to get in his favorite place even though he doesn’t fit anymore? He looks really frustrated with his size though. From the looks of it, that mother probably forgot what being comfortable feels like. Nonetheless, family photos are the best! 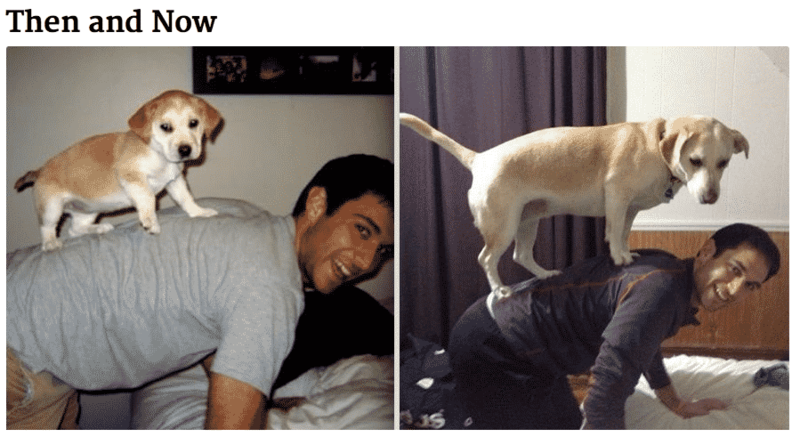 Their size isn’t the only thing that changed over the years because it looks like their friendship also grew stronger. Just look at that big smile, there’s no way for someone to not like dogs! Does it even get cuter than this? Also worth mentioning is that it seems like the dog had a little bit of fun with the chair. 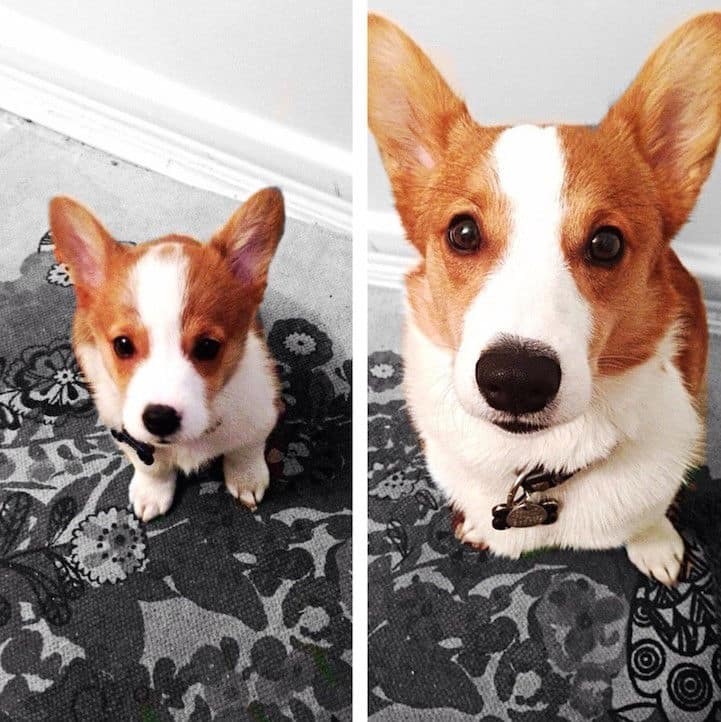 The best thing about getting a Corgi is that it gets even cuter as it grows older. 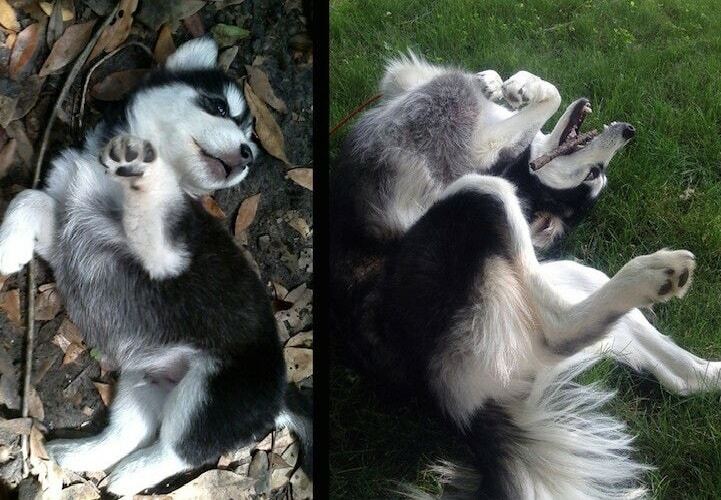 Isn’t it amazing how even though they get bigger they still remain the same peaceful and lovable spirits? One day they are small and the second one they can’t even fit in their cradle anymore. However, these two are still inseparable! This dog hasn’t lost its fashion sense, that thing’s for sure! I wonder how his next outfit will look like. 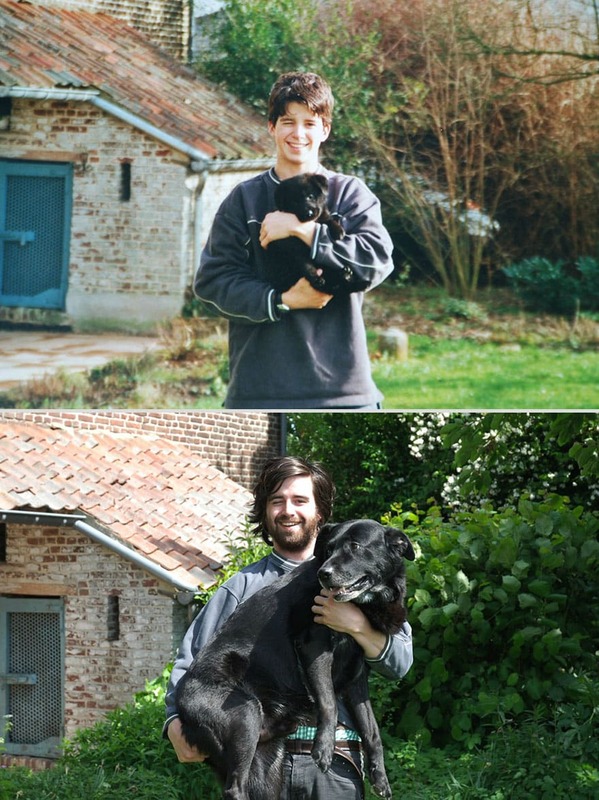 The teenager grew a beard and the dog became triple his initial size, this is how time changes people. And dogs. 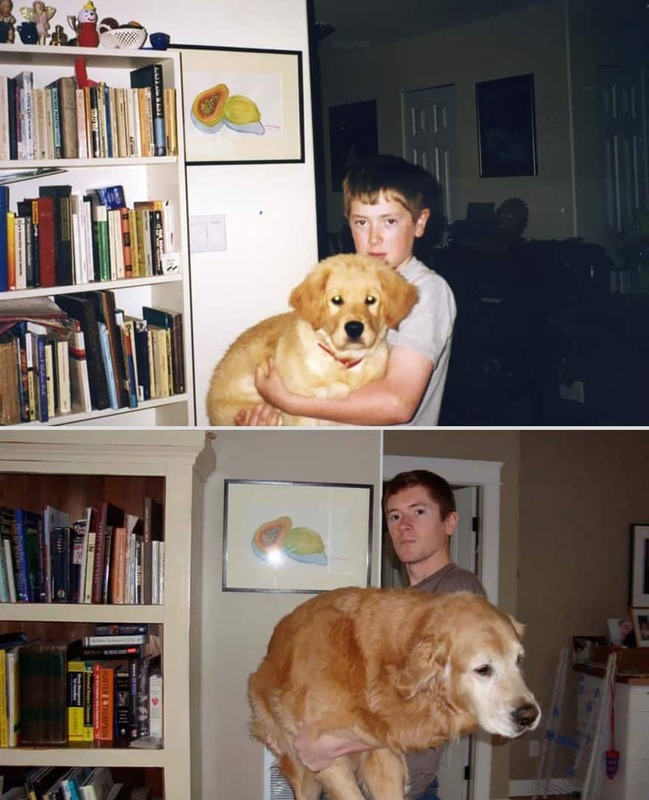 As you can see, you need to start hitting the gym if you want to lift up your dog when it’s not a puppy anymore. 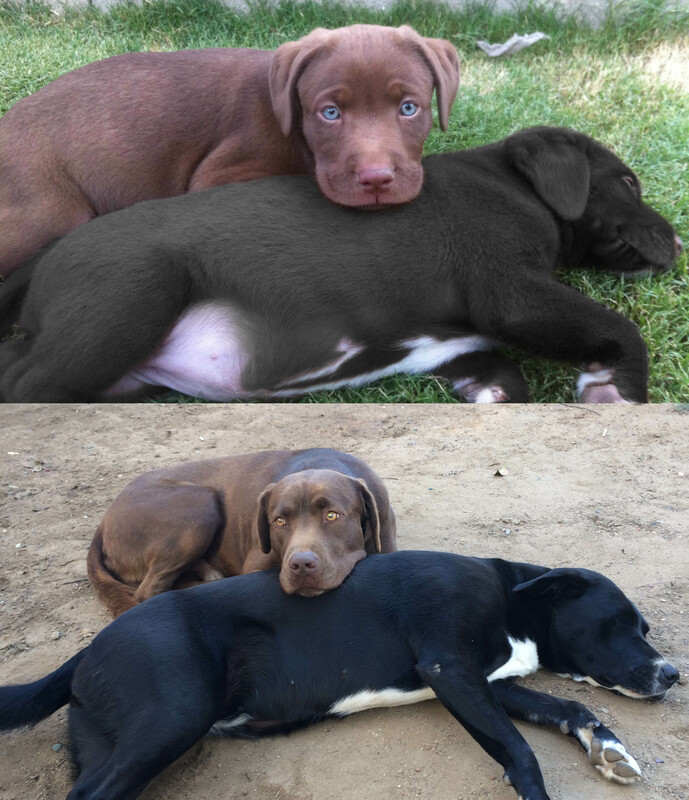 The puppy’s weight might have changed over the course of time but the love between these two remains the same. 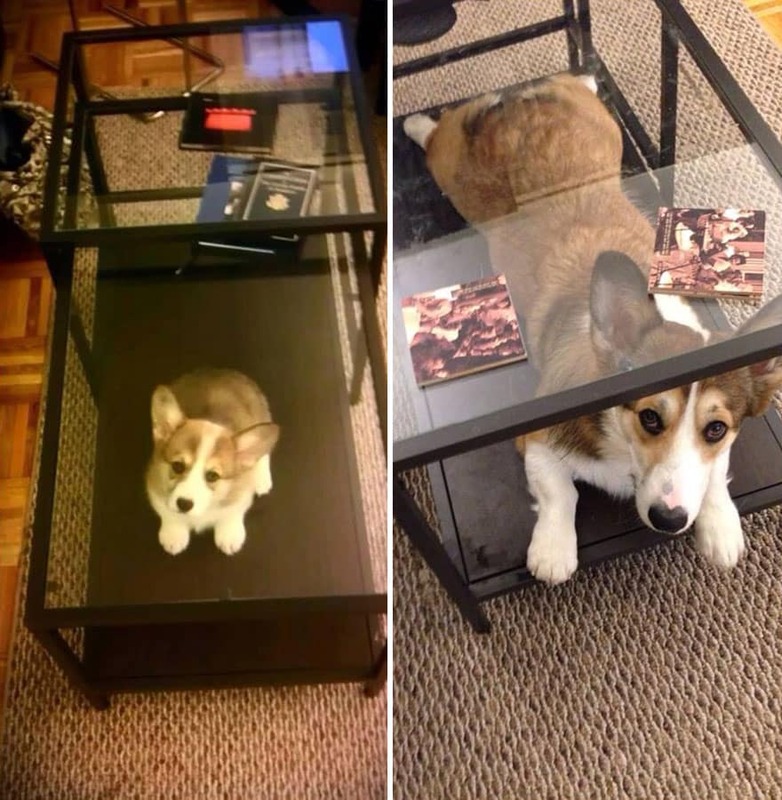 You might need to buy some bigger furniture if you want your dog to still be comfortable in his “hiding” spots. This dog’s cute smile makes this photo priceless. Also, did you notice that the flowers got big as well? He might be big now but this doesn’t mean that he will ever stop being goofy and playful. 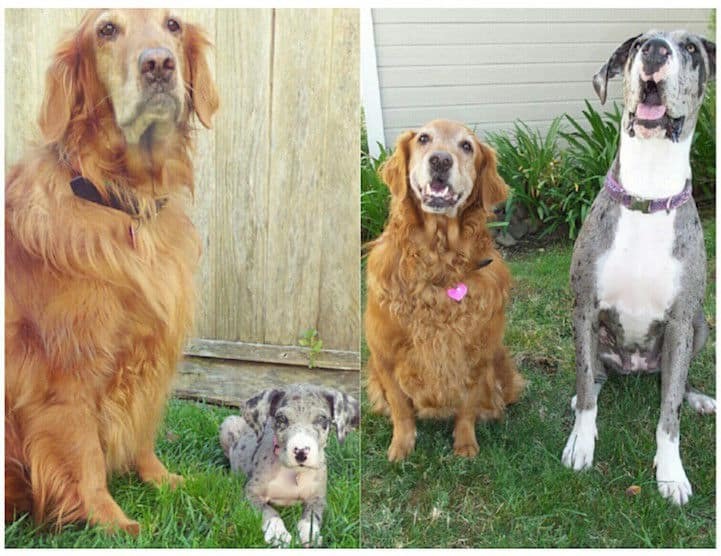 This is what always happens with babies, they grow bigger than their parents. The smile on their face remains the same though. 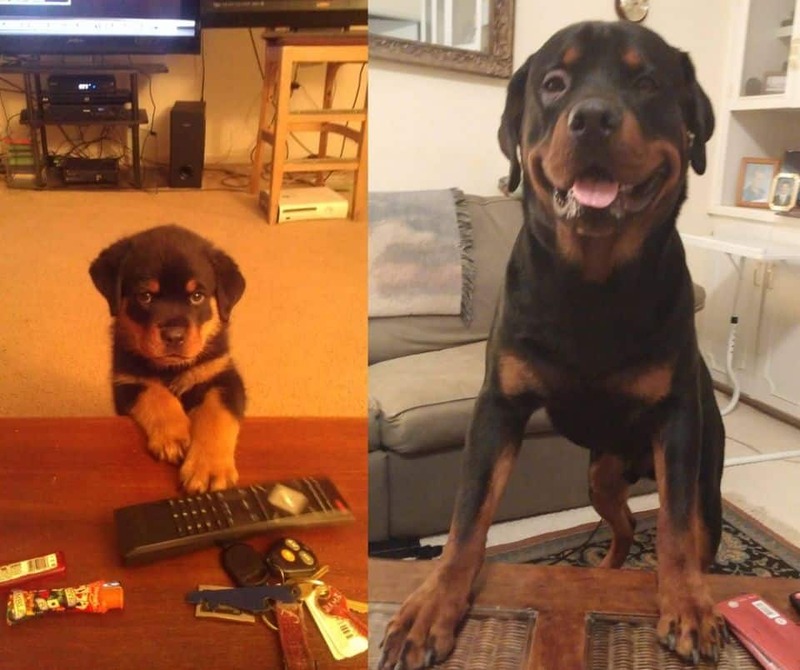 This dog might be big in size now but he is still a puppy at heart. Although, carrying him around is no easy task! 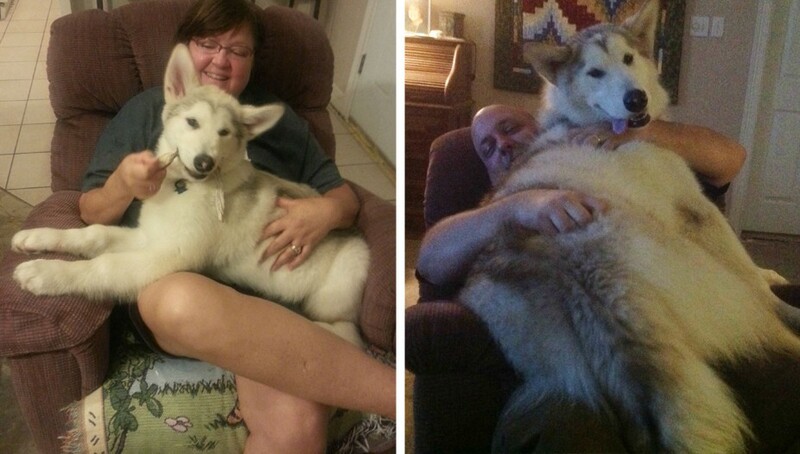 These people need to buy a bigger chair if they want to keep relaxing with the Husky on their lap. 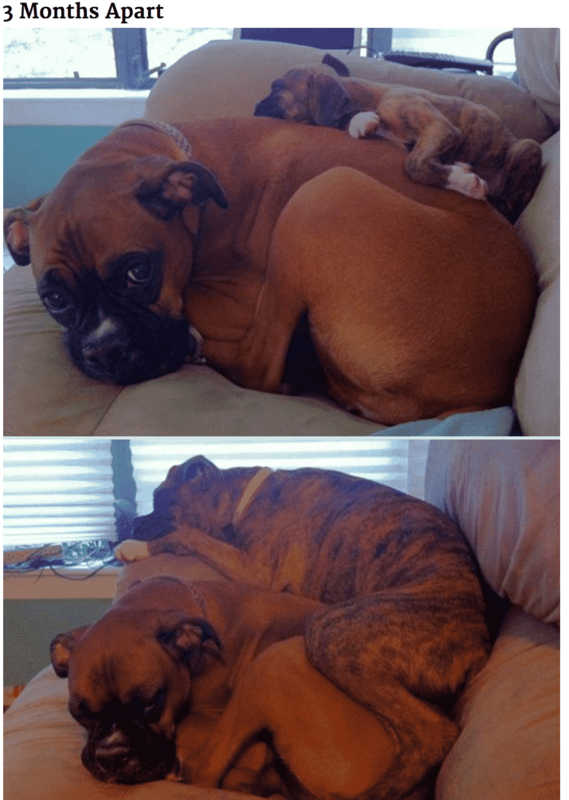 I can’t stop from wondering if this dog gets in their bed as well because that surely isn’t comfortable at all. 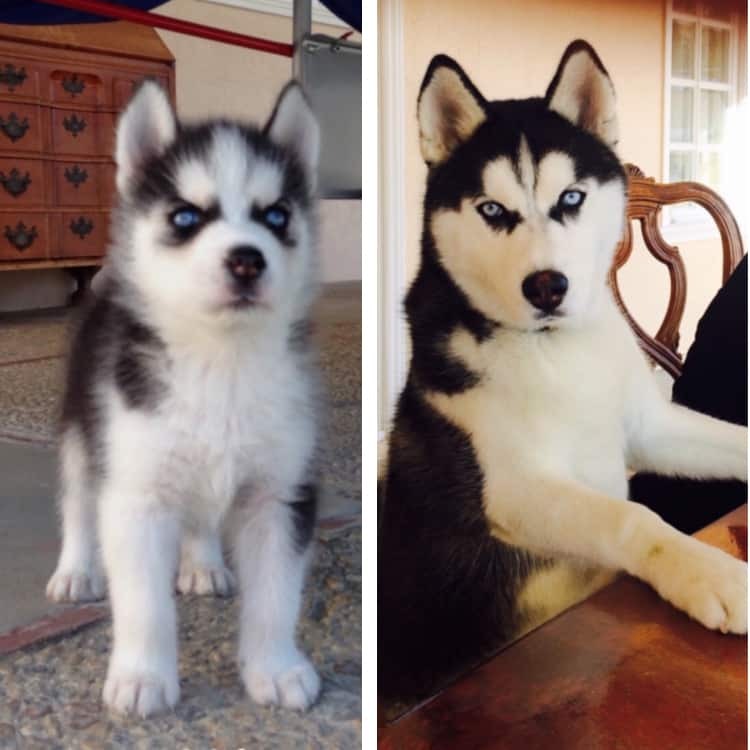 Look at how big this little puppy got, he is now sitting at the table like grown ups do. 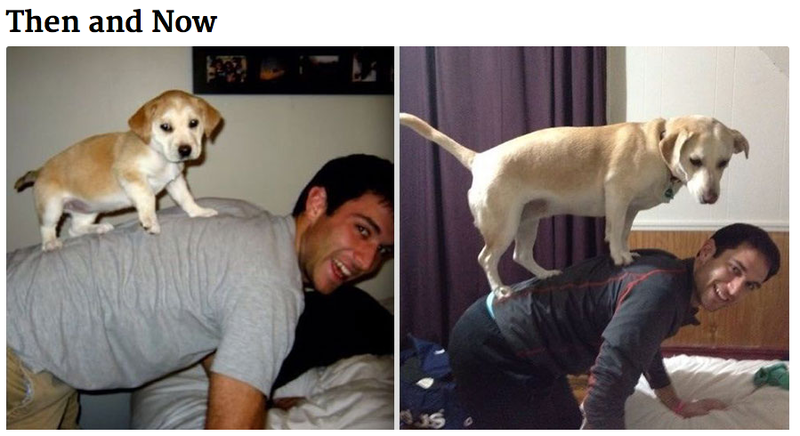 Once a puppy, always a puppy! 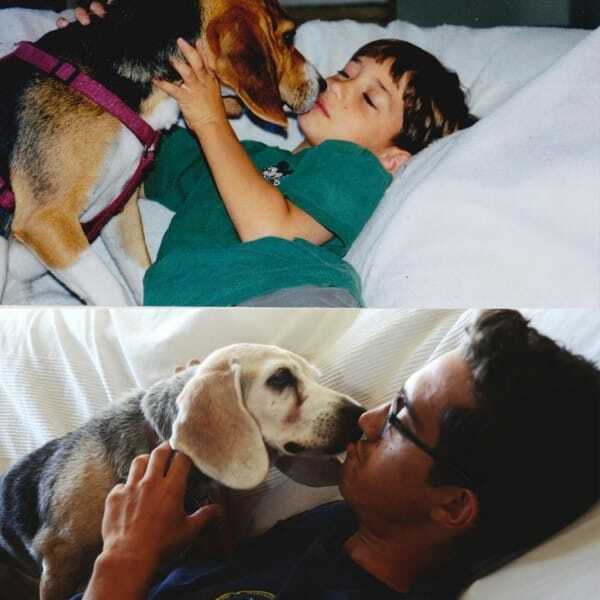 The love between a boy and his puppy is truly unbreakable. 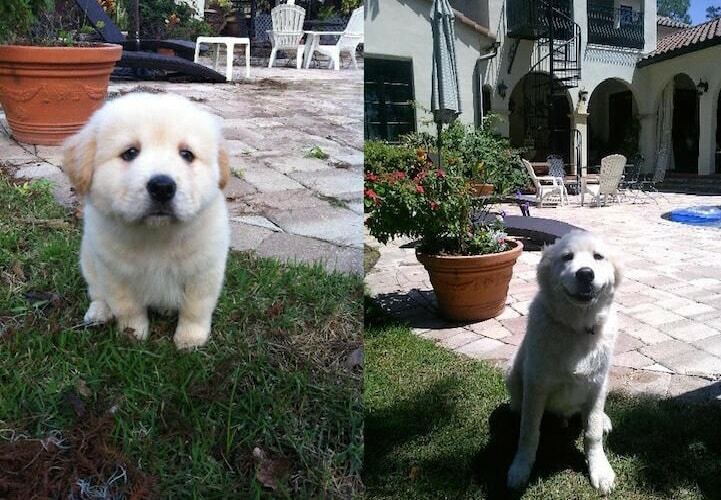 Isn’t it amazing how small puppies can get so big in such a short time span? 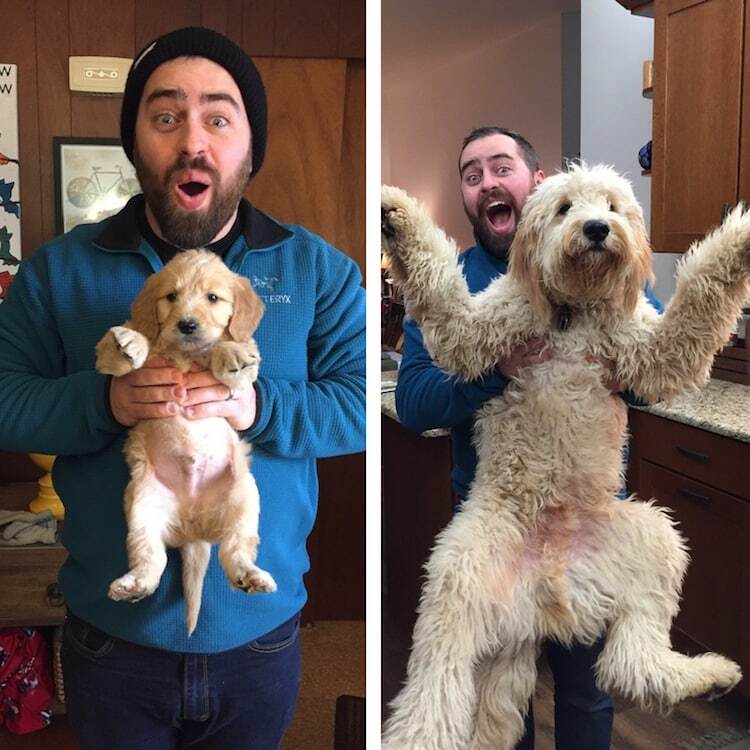 The dog is now almost the same size as its owner but its bored facial expression stayed the same!